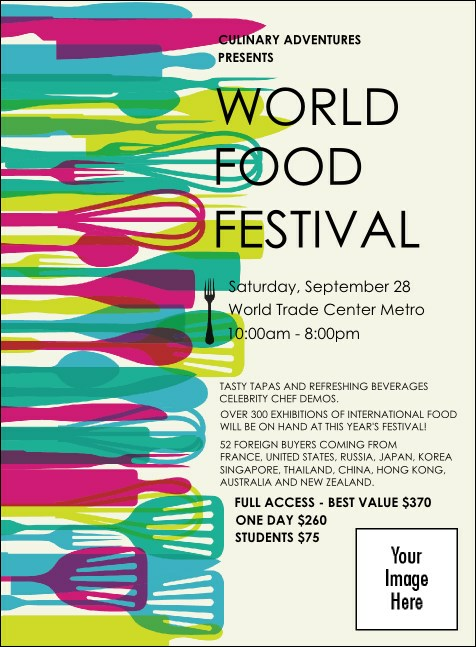 Hold their hopes aloft like a perfect soufflé and spread the word like chocolate chip dough on a hot cookie sheet with the delectable design of the World Food Festival Invitation. Just as potent as the smell of sautéing garlic and onions, this Invitation will help draw your guests to the kitchen and make your event a success. Savor the peace of mind that comes from ordering with TicketPrinting.com.